Pura Still is anything but flat! The first spiked water that doesn’t need bubbles to keep things interesting. 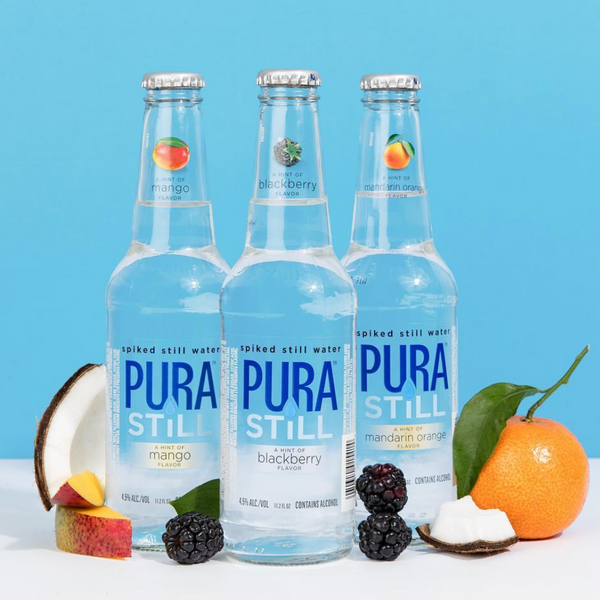 With only 90 calories and 1g of Sugar, Pure Still is made with a splash of coconut water and a hint of fruit flavor. Refreshing? Totally. Still? Absolutely. Flat? Not a chance.